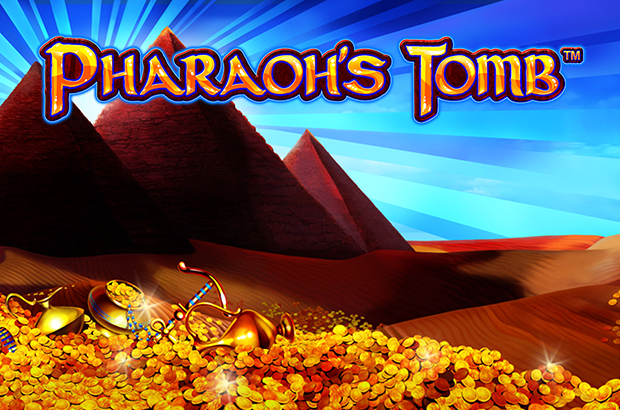 Play Highroller Pharaoh’s Tomb™ online for free now! One would think that nothing much happens anymore at the burial site of a thousands of years old ancient Egyptian god-king but our pharaoh is the exception that proves the rule. Our antique royal has discovered his passion for high rollers and dedicated a slot to these venturesome players. Thus placing big bets is very much appreciated in Highroller Pharaohʼs Tomb™. You can collect mysterious relics on 5 reels in this slot and go all out in Free Games with symbol upgrade. The Ankh symbol grants the highest, the Falcon symbol the second highest and the Scarab symbol the third highest winnings. Open the mighty doors to the burial chambers of the pharaoh in Highroller Pharaohʼs Tomb™ online and line your pockets with Twists! Your purpose with Highroller Pharaohʼs Tomb™ online? Land 5 matching symbols on 5 reels to ensure that your player account is topped up with Twists. In a regular game winning combos start on the first reel to the left and run along a win line to the right. To pocket a win, the symbols must be lined up side by side without being interrupted by other symbols. The Wild symbol (Pharaohʼs Mask) can expand to other reel positions and can substitute for any symbol except for the Scatter symbol (showing the Highroller Pharaohʼs Tomb™ logo). The time of the Scatters has come at last: 3 or more of these symbols with the Highroller Pharaohʼs Tomb™ logo trigger 12 Free Games, which will use the settings from your last regular game. 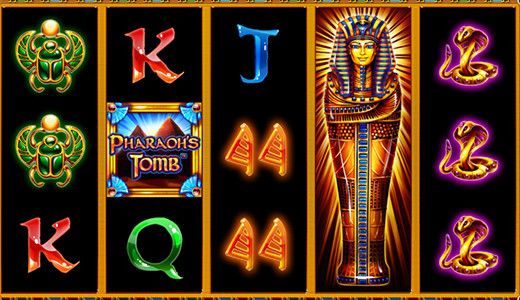 If a Wild symbol appears on reels 2, 3 and 4 during the Free Games in Highroller Pharaohʼs Tomb™ online it spreads to all reel positions and turns into a sarcophagus. This does not contain a mummy but rather the most valuable picture symbols of the slot that are arranged according to their value. The symbol that scores the lowest winnings vanishes and makes way for the next higher symbol. Each time a Wild symbol puts in an appearance in Highroller Pharaohʼs Tomb™ online the procedure is repeated. Moreover, 1, 2 or 3 Pharaohʼs Masks in any reel position earn you 1, 3 or 5 more Free Games. In Highroller Pharaohʼs Tomb™ online you take on the mantle of the raider of the lost ark and seek the ancient pharaoh's burial chamber because there you will be richly rewarded for your efforts. The Wild symbol is your ticket to the Free Games where you can earn more Free Spins and also come upon a sarcophagus. This coffin is brimming with profitable winning symbols such as Ankhs and green Scarabs. Furthermore, this feature boasts a symbol upgrade. In other words, each time the sarcophagus opens your winning chances explode!